With many years of experience, a trained team of certified technicians, and all the necessary parts, Precision Garage Door of Spokane is your one-stop shop for garage door repair. There are many advantages to choosing our company for your repair. For one, we use the highest quality commercial-grade parts available, and you won’t be able to find these parts in home improvement stores. Some of our parts are manufactured specifically for our company. In addition to these high-quality parts, we offer around-the-clock services seven days a week! We are confident our repairs will solve your garage door problem and the solution will last. We back all our work with a limited lifetime warranty. Parts and labor are guaranteed to last. Our team of technicians is familiar with all types of garage doors and we strive to make accurate diagnoses and implement proper solutions on our first visit. Your time is valuable, and this is why we strive to be prompt to every service appointment. We give you a two-hour service call window, so you can plan out your day and get other things done besides waiting for us to show up. You can expect a friendly technician to arrive at the scheduled appointment time ready to work hard to identify the exact problem. Our fleet of vehicles is equipped with all tools and parts needed to make common garage door repairs. 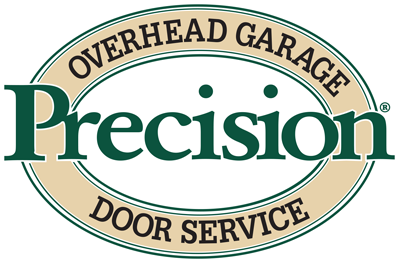 If you are experiencing problems with your garage door or you just need a certified technician to make some adjustments to your system, please call Precision Garage Door of Spokane. We are available 24 hours a day to take your call. 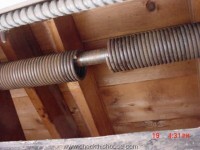 We are the best choice for Spokane garage door repair for all of the above reasons and more. We look forward to serving you soon! Our technician explained things so I could understand what he was doing and what I could do in the future. A very good experience.